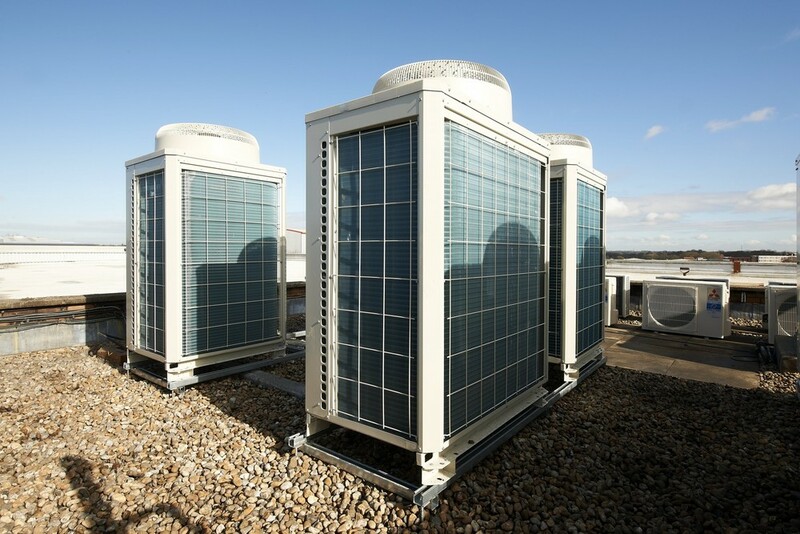 The Commercial HVAC specialists at 361 Degrees provide HVAC design, installation and consultation across a variety of sectors . From Industrial environments through to education, healthcare, corporate offices and more, choose us for specialised services specific to your industry and your needs. We understand that every company requires different mechanical solutions depending on their industry and culture. Our HVAC installations are designed and built to be effective for our clients no matter what their demands, so we provide solutions that improve productivity and reduce the impact on the bottom line. And because we are experts in a wide range of mechanical services, including air conditioning, heating, ventilation and energy controls, we deliver one system that delivers the environment you need to succeed. In every commercial environment, mechanical services are essential to productivity and wellbeing. Thermal comfort and better air quality make a tangible difference to the working environment, allowing staff in any sector to perform better and help deliver greater profit margins. Studies show a quality HVAC installation can help businesses set themselves apart, but understanding your building is key. That’s why our consultants, designers, project managers and engineers invest time in assessing the needs of your company and the people who occupy the building. If you don’t already have a design in place, we work with experienced consultants at 361 Consulting to identify the best heating, air conditioning or ventilation solutions for you. If you have a design ready to go, over 30 years of HVAC installation experience puts our team in the perfect position to deliver an effective, reliable solution. Click on the links below to read about our services in your sector. Industrial HVAC installations need expertise at every stage. Whether you operate a warehouse, manufacturing plant, factory or production facility, specialist mechanical services are necessary to create the ideal environment for staff. Industrial premises also have unique challenges, with goods and equipment that require specific climates to keep conditions optimal. 361 Degrees has provided energy controls, heating, air conditioning and ventilation systems to premises across Bedfordshire, Hertfordshire and the south of England and our experienced team will work with you to identify the best solution for your space. Learn more about our industrial HVAC solutions. A holistic approach to office design is vital to any business hoping to set themselves apart from the competition. The modern workplace needs to not only emphasise productivity, but also protect and even improve the health and wellbeing of staff. With outdoor pollution levels rising, well designed air conditioning and ventilation systems can go a long way to providing the indoor air quality people need to be happy and productive. HVAC installation that factors in the needs of office staff helps make a workplace more attractive, allowing businesses to hire and retain the best people. Studies also show decision-making ability improves, while cognitive function scores are 26% higher in green-certified buildings. Energy controls also have an important role to play in the office, with more effective management thought to reduce spending on energy by as much as 30%. Learn more about HVAC solutions for offices. Schools, academies and colleges must comply with rules and regulations designed to keep children safe and healthy, along with creating the right environment for learning. We work with facilities managers to design HVAC systems that not only meet the requirements of the latest legislation, but also help learners achieve their full potential. If you work in the education sector, you need a mechanical services partner that fully understands your environment. Our engineers are DBS checked and we often schedule work during school holidays, according to what best suits the requirements of our customers. We also work with our servicing partner, 361 Servicing, to make sure the systems we design and install run smoothly, preventing unnecessary school closures in the event of problems such as a boiler breakdown. Learn more about HVAC in education systems. Creating the right conditions for patient recovery and recuperation is an essential part of any healthcare institution’s remit. We work with hospitals, surgeries, care homes and other service providers across the UK, helping them safeguard the welfare of the people in their care. Heating, ventilation and air conditioning systems must reflect the needs of each establishment, while user-friendly energy controls are key to keeping the systems running smoothly and effectively. Our HVAC design and installation teams will work closely with you to find the best solution for your building at the fairest price. Learn more about HVAC in healthcare.